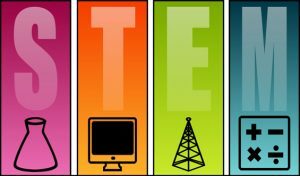 Eighty percent of future jobs will require science, technology, engineering, and math (STEM) skills. Some experts say nearly all jobs incorporate STEM knowledge. It comes as no surprise that the United States military recognizes the importance of STEM and is a supporter of programs that foster learning and growth in these disciplines. “The Department of Defense has long supported STEM education and outreach activities throughout the nation,” states the defense department’s STEM website. “First, we need to increase the size of the STEM education pipeline by maintaining an enthusiasm for science, technology, engineering and math throughout high school and college,” the Forbes article states. • Advanced Course in Cyber Security Bootcamp • The College Qualified Leaders (CQL) program matches practicing DoD scientists with talented college students to create a direct mentor-student relationship, providing participants with training that is unparalleled at most colleges. CQL students receive firsthand research experience and exposure to DoD laboratories. • The High School Apprenticeship Program provides high school juniors and seniors with an authentic science and engineering research experience alongside university researchers sponsored by the Army. Students are expected to develop skills in critical science and engineering research areas in a university lab setting to prepare them for the next steps of their educational and professional career. • Junior Solar Sprint is a free educational program for fifth- through eighth-grade students in which they design, build, and race solar-powered cars using hands-on engineering skills and principles of science and math. • The Science and Engineering Apprenticeship Program is an eight-week, paid high school apprenticeship opportunity at one of the nearly 30 Army and Navy laboratories and facilities. Students gain real-world, hands-on experience and research skills while being exposed to DoD science and technology. • The Summer Intern Program for Science and Technology is a full-time, 12-week summer internship program that is open to college juniors who are concentrating their studies in the disciplines of computer science, computer engineering, electrical engineering, network engineering, software engineering, or telecommunications. • Eighty-one percent of the programs’ Smart Scholars were employed after service commitments. • Forty-six percent of the engineers and scientists employed by the federal government work for the Department of Defense.